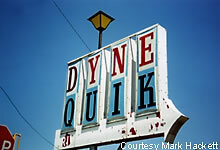 Here's the Dyne Quik, located in the north-central part of Wichita. 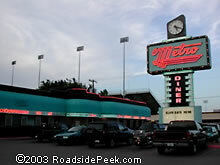 A note of interest, it is one a few Valentine Manufactured Diners still in existence as a diner. Many thanks to Jesse Miller for info. 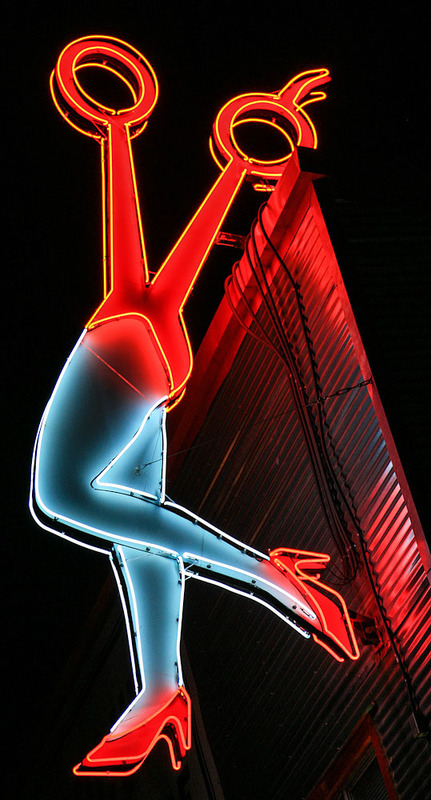 Take a look at the most famous diner in Minnesota. Mickeys Diner has been a staple of the St. Paul area since it opened in the Capitol 60 years ago. It is still open 24 hours a day and it is very inexpensive to eat there but the parking is limited to 30 minutes during regular daytime business hours. So eat fast, in real diner style! Mickey's is even on the National Register of Historic Places, and is supposedly one of only two diners to be on the list. Its image has been reproduced many times in post cards and calendars and many other ways. It was built in 1937 in New Jersey and shipped to St. Paul by flatbed truck.